When All the King's Men was first published in 1946, Sinclair Lewis pronounced it "massive, impressive...one of our few national galleries of character." Diana Trilling, reviewing it for the Nation, wrote, "For sheer virtuosity, for the sustained drive of its prose, for the speed and the evenness of its pacing, for its precision of language...I doubt indeed whether it can be matched in American fiction." 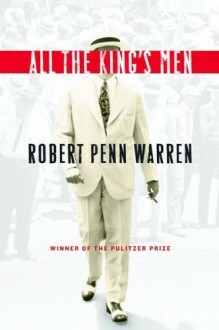 The Washington Post declared, "If the game of naming the Great American Novel is still being played anywhere, Warren's All the King's Men would easily make the final rounds." Set in the 1930s, this Pulitzer Prize-winning novel traces the rise and fall of demagogue Willie Stark, a fictional character who resembles the real-life Huey "Kingfish" Long of Louisiana. Stark begins his political career as an idealistic man of the people but soon becomes corrupted by success and caught between dreams of service and an insatiable lust for power. As relevant today as it was more than fifty years ago, All the King's Men is one of the classics of American literature.